President Russell M. Nelson (born Sept 9, 1924) was an internationally-renowned heart surgeon when he was called to serve as a member of the Quorum of Twelve Apostles in 1984. He became president of that quorum on July 15, 2015. 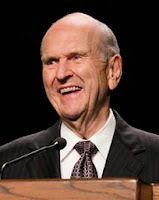 Following the death of President Monson, he was set apart as president of the Church on January 14, 2018. "I exhort you to study the messages of this conference frequently—even repeatedly—during the next six months. Conscientiously look for ways to incorporate these messages in your family home evenings, your gospel teaching, your conversations with family and friends, and even your discussions with those not of our faith. Many good people will respond to the truths taught in this conference when offered in love. And your desire to obey will be enhanced as you remember and reflect upon what you have felt these past two days." We live in a time of miracles. One manifestation of that fact is the rapid availability of general conference addresses following the meetings. The videos are online almost immediately, and now the transcripts are also available for reading and studying. When I worked for the Church over 20 years ago, in the early days of general conference broadcasts and postings on the Internet, it used to take us many, many days to accomplish what is done so quickly now. And even further back, before Internet availability, we would wait impatiently for weeks to get our "conference edition" of the Church magazines. How blessed we are today! We now have the opportunity to begin the frequent and repeated study of the conference messages for the next six months. 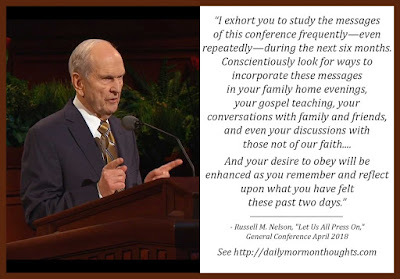 President Nelson teaches us that we need to do more than just read and study; we need to "incorporate these messages" in our interactions, our teaching, our conversations. 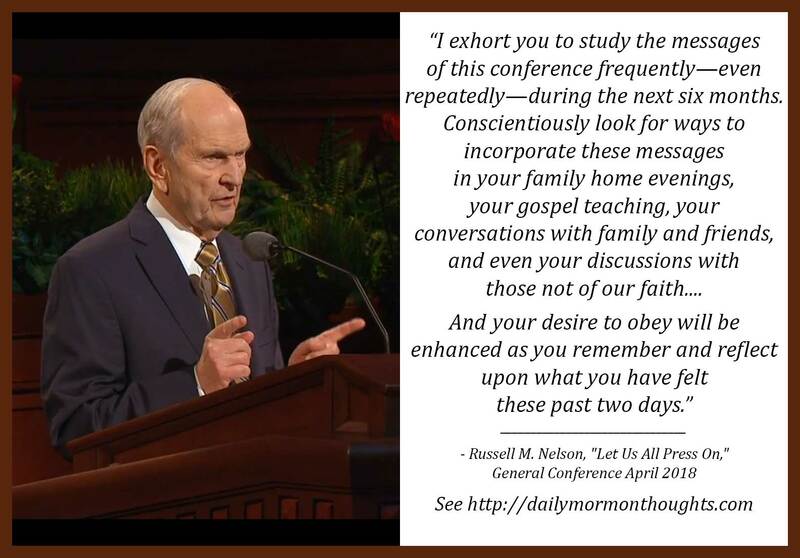 We should truly appreciate the the promise of increased desire to be obedient that will come from our efforts to remember the conference messages.